Explore the common ground underlying the diverse expressions of the Buddha's teachings with two of Tibetan Buddhism's bestselling authors. Buddhism is practiced by hundreds of millions of people worldwide, from Tibetan caves to Tokyo temples to redwood retreats. To an outside viewer, it might be hard to see what they all have in common. In Buddhism, His Holiness the Dalai Lama and American Buddhist nun Thubten Chodron map out with clarity the convergences and the divergences between the two major strains of Buddhism--the Sanskrit traditions of Tibet and East Asia and the Pali traditions of Sri Lanka and Southeast Asia. Especially deep consideration is given to the foundational Indian traditions and their respective treatment of such central tenets as the four noble truths the practice of meditation the meaning of nirvana enlightenment. 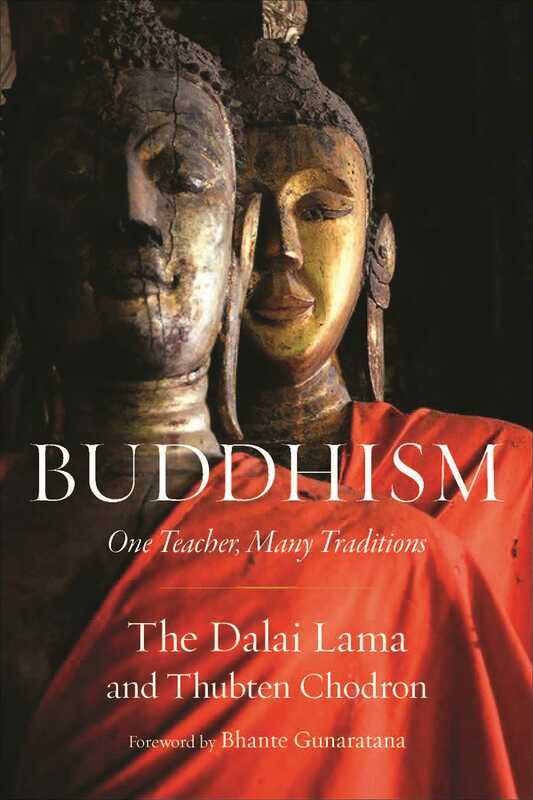 The authors seek harmony and greater understanding among Buddhist traditions worldwide, illuminating the rich benefits of respectful dialogue and the many ways that Buddhists of all stripes share a common heritage and common goals.